DVCPRO repair, service and rental. 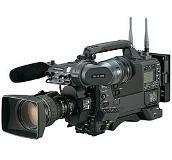 Broadcast and Professional equipment including Panasonic DVCPRO 25,50 and HD VTR’s, Cameras and Camcorders as well as Sony Digibeta, BetacamSP and SX. Using only original parts and software. Firmware and software upgrades available. Pickup and delivery where available. 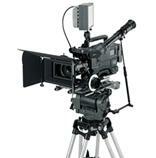 Custom camera looks on all cameras including film looks, sports, nature, etc…….